You can listen here to this week's radio episode of "There's A Rock For That!" 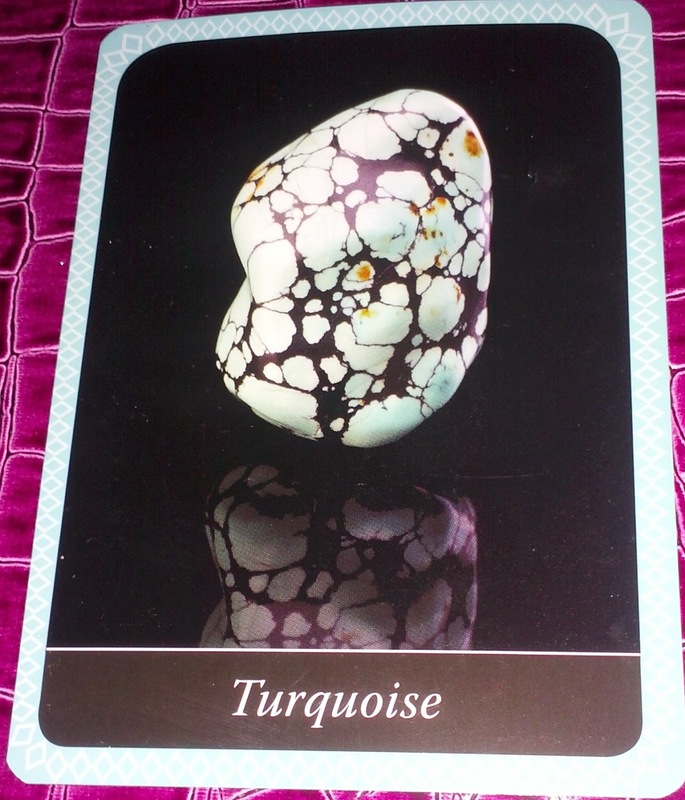 Carnelian was the featured "Crystal Guest" this week. You can also listen to my review of "The Crystal Wisdom Oracle" by Judy Hall. 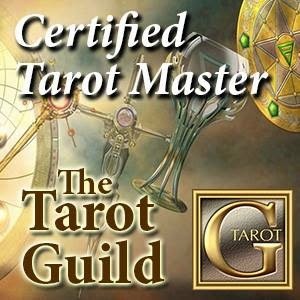 On this episode I did readings with the oracle deck for folks who called into the show. Thanks again to all the lovely people who called in for a reading! It was a terrific opportunity for me to "test-drive" the oracle and for everyone to get an idea of how it works and the type of messages that it has to offer. Turquoise and Pink Granite are two of the cards that came up in the readings I did on the show. 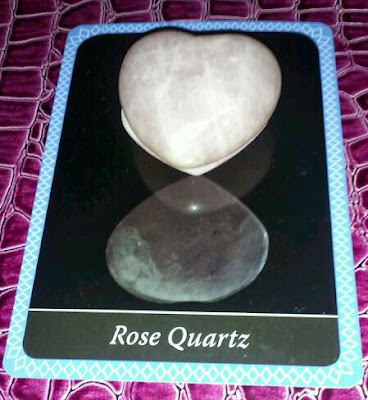 As you can see I have a Rose Quartz carved heart that happened to be the exact same size as the one pictured on that card! Coincidence? I think not! Tomorrow on "There's A Rock For That!" Join me tomorrow for another fun episode of "There's A Rock For That!" radio show on blogtalkradio.com. On tomorrow's episode I will share my review of "The Crystal Wisdom Oracle" by Judy Hall. 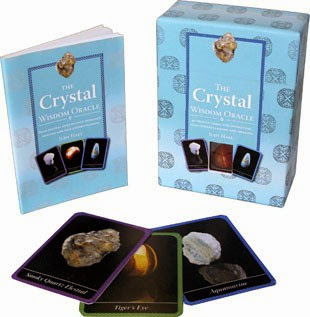 As a special treat I will be taking calls for readings using the Crystal Wisdom Oracle! The call-in number to get a reading, ask a question or share your crystal experiences is 347-637-3372. The show starts at 4PM EST. My "Crystal Guest" for tomorrow's show is Carnelian. I will be discussing the folklore, metaphysical properties, and healing applications of Carnelian. To listen to the show click on this link: "There's A Rock For That!". It will take you to the show, hope to see you there! In case You Missed It...Listen to the Premiere of There's A Rock For That! What a wonderful time I had on the premiere of "There's A Rock For That!" yesterday. Wonderful energy in the chatroom. Saw old friends in there and met new ones too! I took a call from "Debbie" who had asked me some time ago for some crystal suggestions on a Facebook group we both belong to. Debbie called in to tell me that she tried my suggestion and to share her amazing results. Thanks to everyone who participated for making it such a lovely experience! 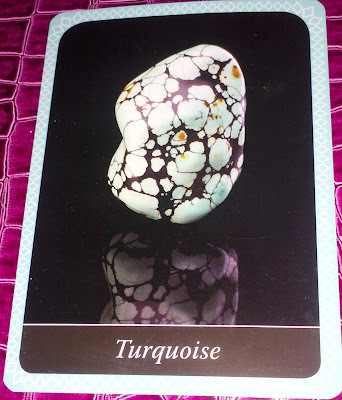 Whether for decoration, meditation, self-exploration or divination, I have found that there is "a rock for that." 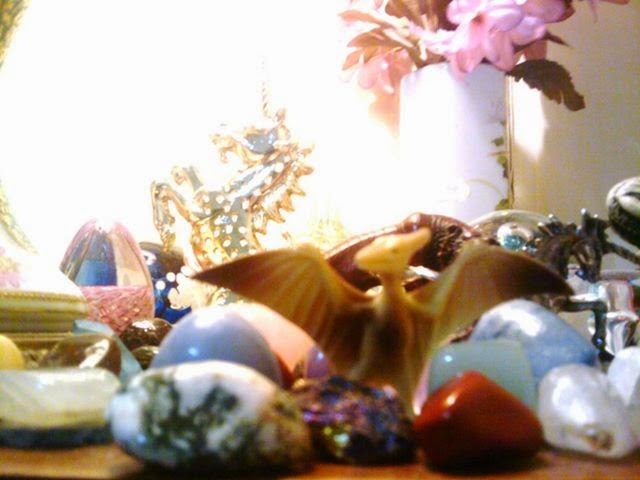 I love having crystals and stones around me in my office, my house, my pocket and throughout my day. I have used them to assist with health issues and for overall wellness too. 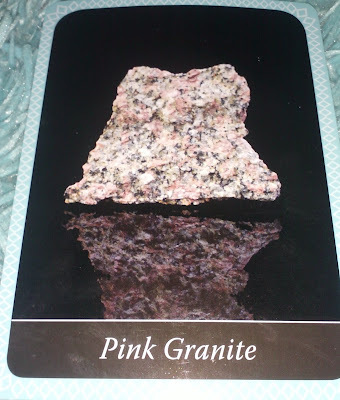 There are so many books, resources, and theories when it comes to working with crystals, gemstones and rocks. You read one book and think you have a handle on it, until you pick up another which teaches an entirely different approach. For me, experience is the best teacher of all. That's why I'm excited to do this show where I can share what I have discovered and learn from others too. My hope is that through the show's chatroom, calls to the show and this website, we can exchange ideas and explore the vast and wonderful world of rocks together! The one hour show will air live every Thursday at 4PM EST. I hope to see you there! 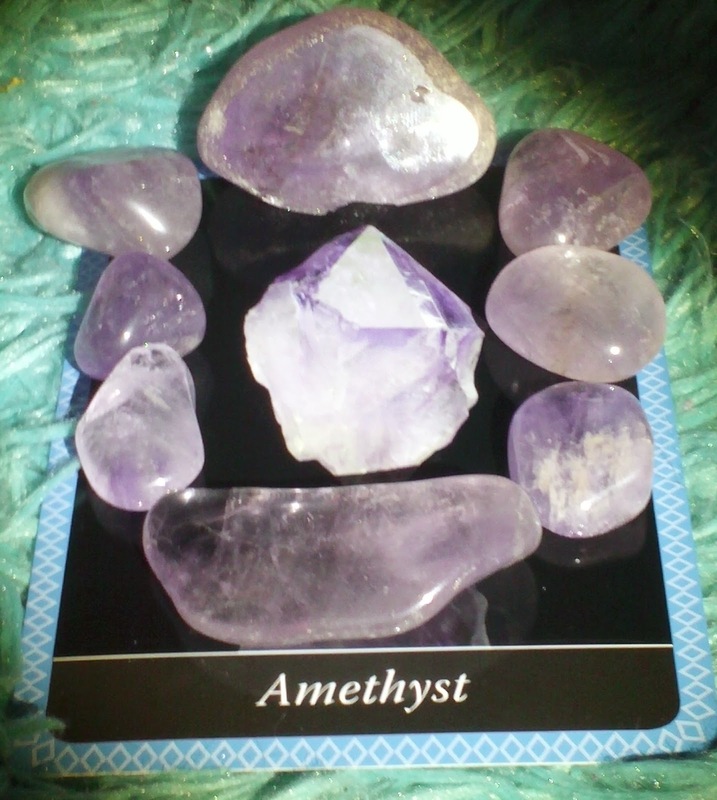 Meanwhile here's a picture of one of my favorite "rocks" -- Amethyst!